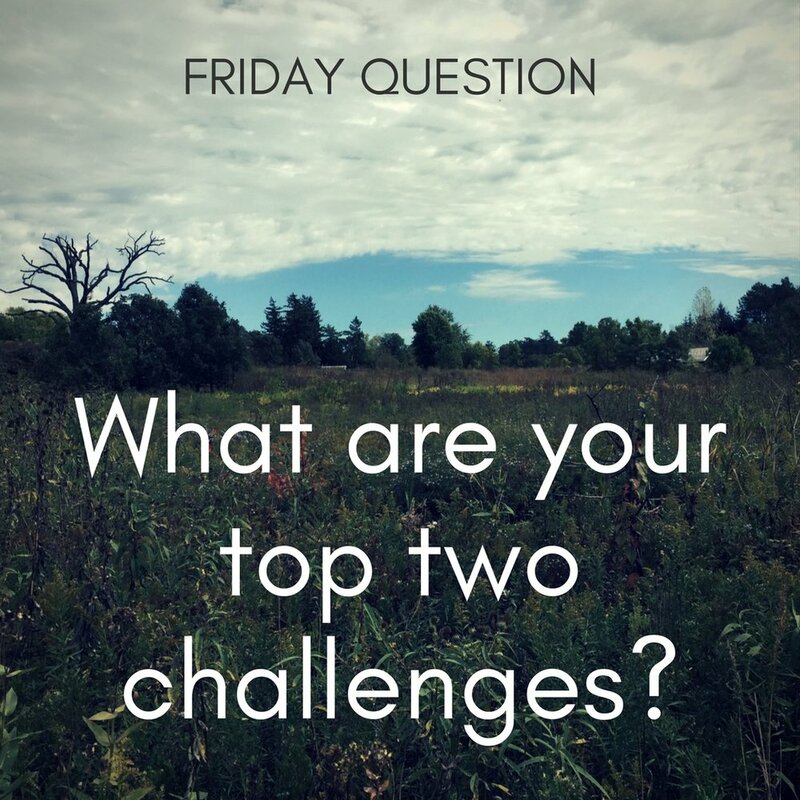 One of my questions for my Friday Questions series on Instagram was, ”What are your top two challenges?" The responses came in quickly. It occurred to me that these challenges are issues that are "top of the mind" issues. It was easy to respond because everyone knew exactly what their challenges are because it runs like a loop in the background of your thinking on a daily basis. There was plenty of overlap on the top two challenges by many of the commentors. People said it in different ways but it boiled down to time and focus. Time and Focus were the top two challenges...too many things to do and not enough time to do them and difficulty in deciding what to focus on and maintaining focus on what you eventually decided to do. People said things like self care and choosing how to spend my time, wandering eye for new art forms, filtering ideas to get to the best ones, planning too much for one day, making a decision on a direction and then following through. Time and Focus are really related sequential topics. One causes the other one. When we feel overwhelmed by too much to do, by definition it is hard to focus. Just like it is hard to be kind when you are angry or feel grateful when you are complaining. So the one thing that would help is to not feel overwhelmed. Easily said, but hard to do. One of my strengths is I am a problem solver. But, this only kicks in when I clearly define what the actual problem is. This exercise of asking what are your top two challenges gives us all the opportunity to be clear with ourselves and kick in this "problem solving self" we all have to some degree. You may not have even articulated your top two challenges very clearly before. But then once you start thinking about it, you realize you may be ruminating about something in your mind many hours of the day, like a recording on a loop. First step. Identify the challenge. Second step. Think of one idea that may help. Third step. Try it. Repeat if necessary. So if the problem is overwhelm, too many things to do and all the other challenges stem from this cause, then it is important to focus efforts on this and it will solve other challenges at the same time, like a double problem solved. I have read books about time and focus productivity hacks for years. I am throwing out some ideas I have tried and ones I have been meaning to try. I am looking for more ideas from people to add to this list. Many ideas may help spur a creative idea which just might help you with these challenges. So my Thursday question last week was “What has helped the most with your top two challenges?" I got less responses, like I could "hear the crickets" kind of silence. First of all, I changed the Friday questions series to Thursday. As my husband pointed out, Friday is the end of the work week and people are more chatty than on a weeknight like Thursday. So, lesson learned and moving the series back to Friday Questions. But I also think that it is easier sometimes to focus on the challenges because they are top of the mind, like I said earlier it is the recording playing in your head… Too much to do..AHHHHH. Sometimes there is inertia when trying to move to the solutions side. So I am going to reword the question since it is easier to come up with one thing rather than a whole bunch of things. I will ask people to focus on one possible solution and try asking again this week on a Friday. A brave soul answered last week and said just do it. She found that just the active working on something can even help with other projects that she was not even working on at the time. I thought this was very wise because it really shows just doing something helps. I shared with her a quote from the author Isabel Allende used in the 100 day project that helped me to decide to do the 100 day project in 2015. I have a deep respect for Isabel Allende and all of her work. The quote from Isabel Allende is, “Show up. Show up. Show up and after a while the Muse shows up too.” Yep. That about sums it up. What are your top two challenges? What is one solution you want to try to help with your #1 challenge?